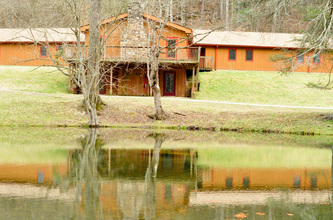 Book your retreat with us today! 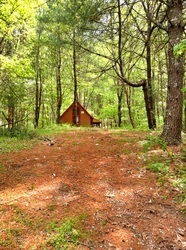 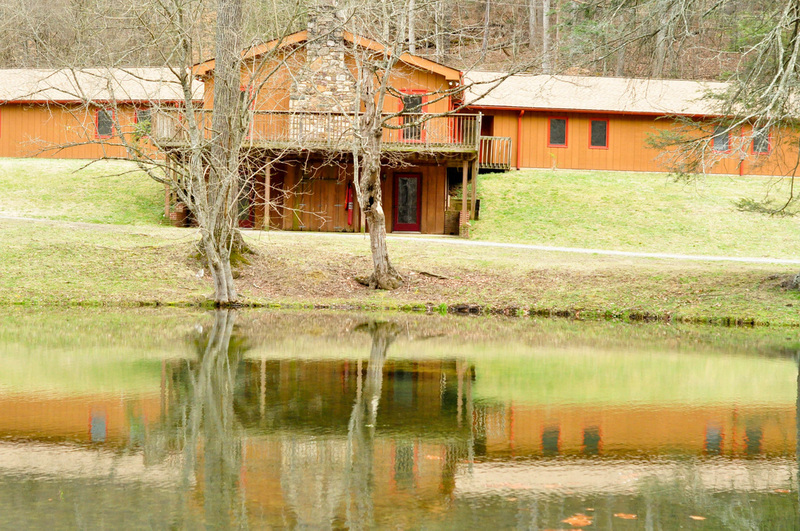 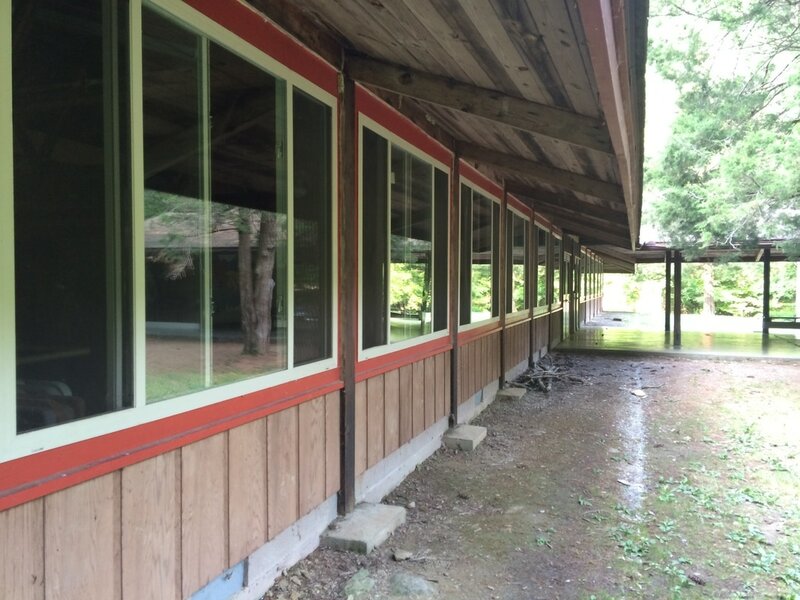 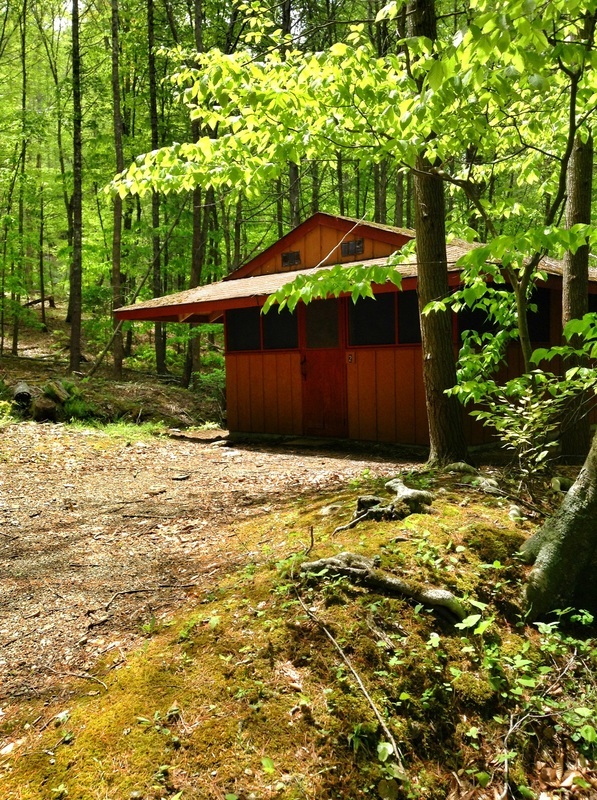 All of our facilities are open year round except the Staff House, Cabins, Hogans, The Hut, and The Adventure Cabin. 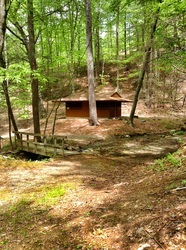 These facilities are open seasonally from April 1 through October 31. 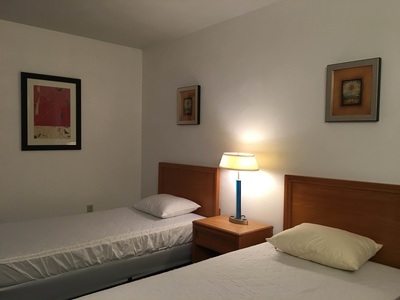 Check in time is 4 PM and check out time is 1 PM. 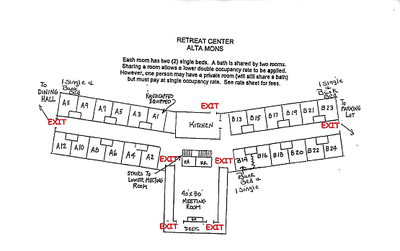 There is a $75 early check in and/or late check out fee available on a per building basis. 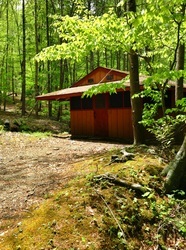 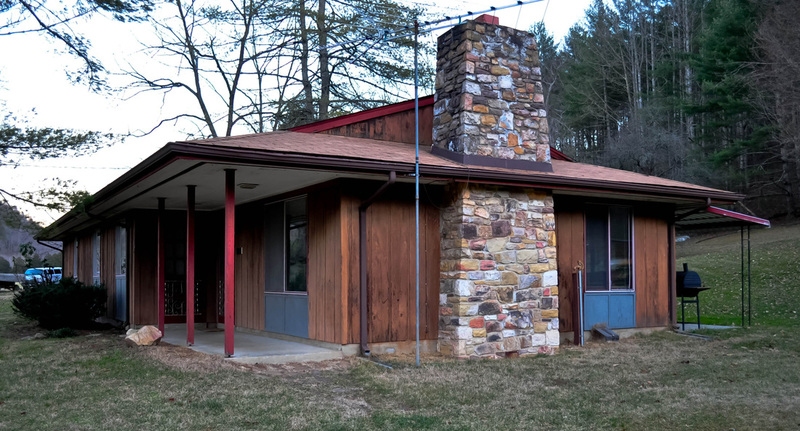 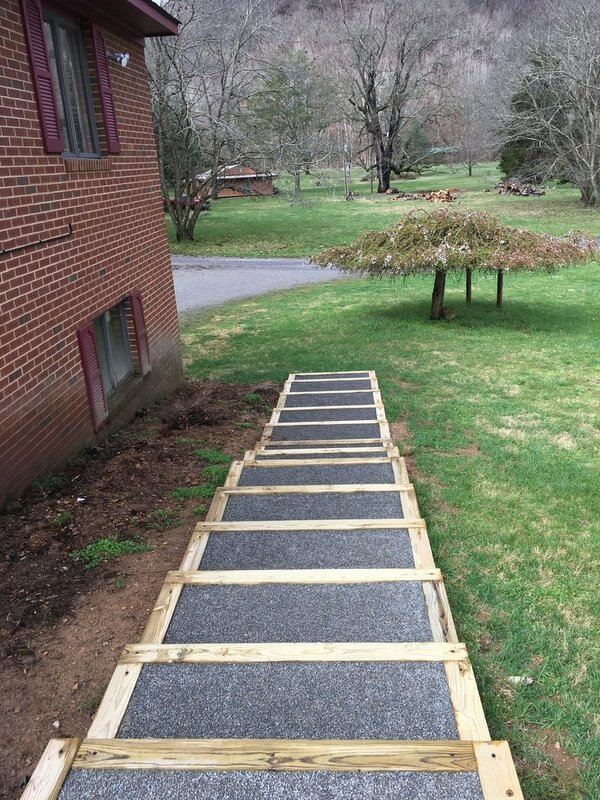 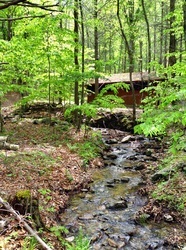 ​For questions or to book a tour, please call 540-268-2409.
click here to book your retreat! 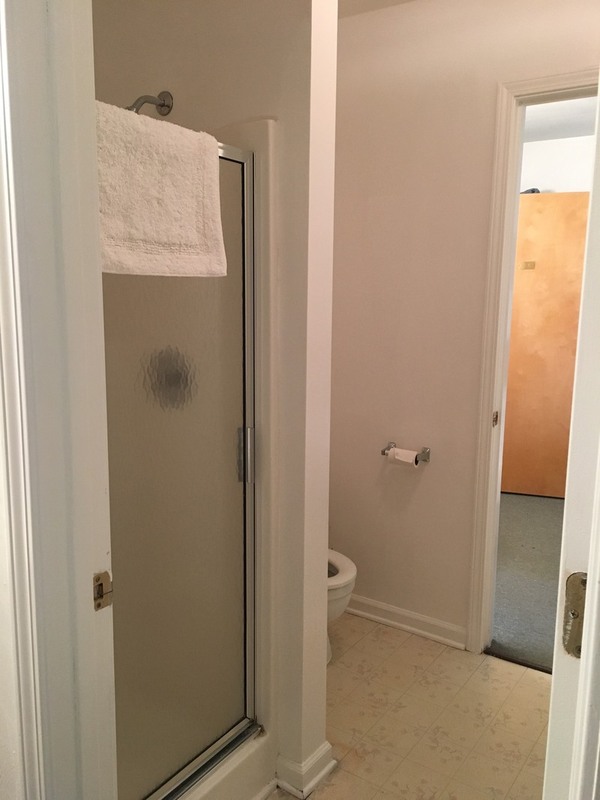 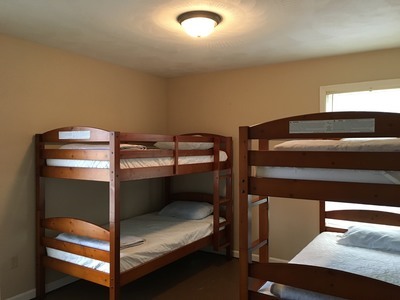 24 bedrooms with shared bathrooms (20 rooms have 2 single beds, 3 rooms have 1 bunk bed and 1 single bed, and 1 room has 1 single bed and a trundle bed). 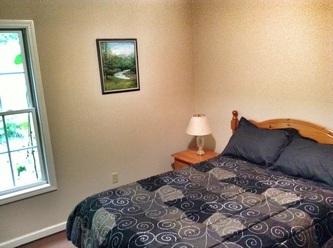 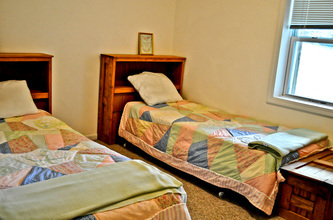 All bedrooms have individual heat controls. 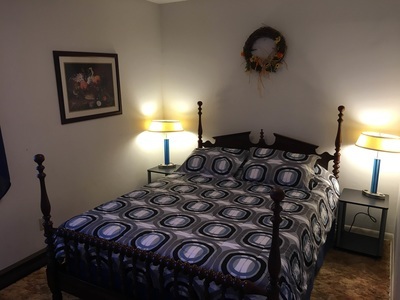 Bedrooms come with blankets and pillows only; please bring your own sheets and/or sleeping bags (sheets and towels available for a separate fee). 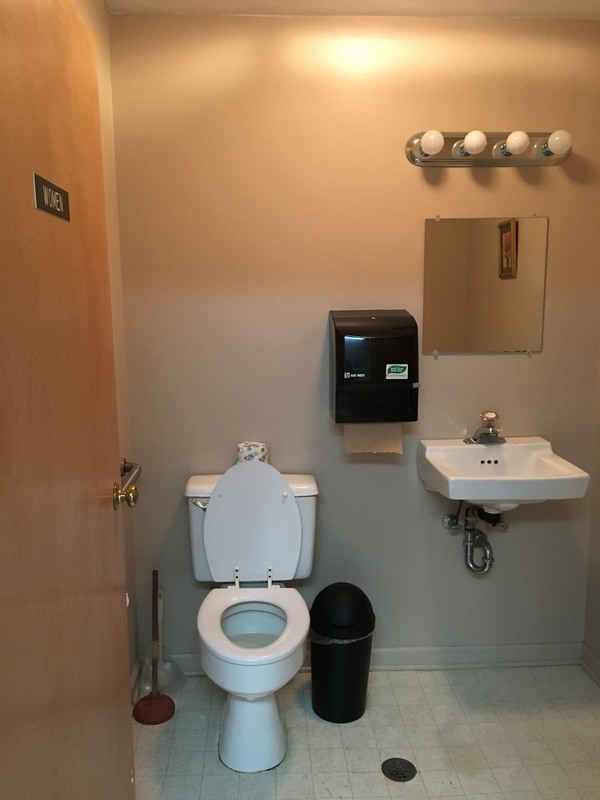 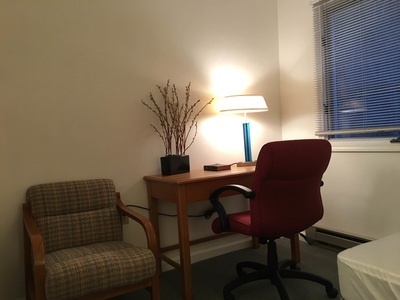 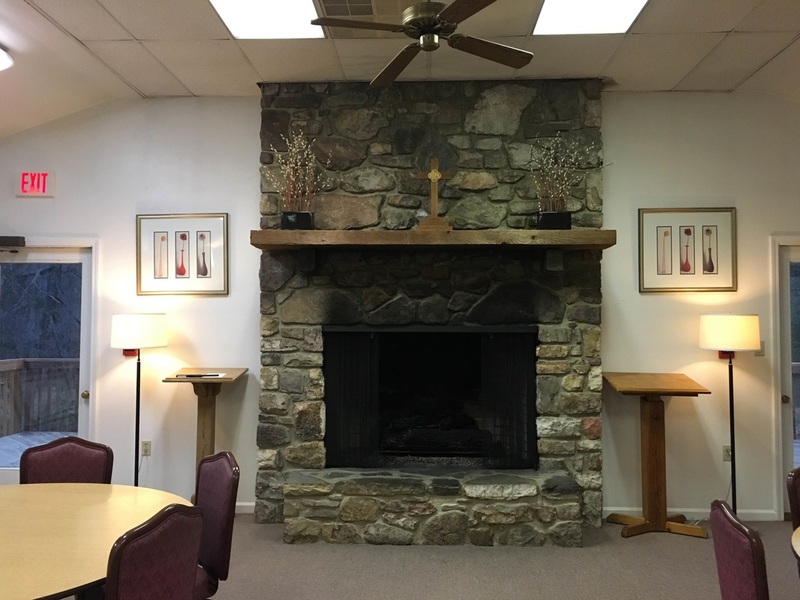 The building has a fully equipped kitchen and upper level large meeting room with a piano, gas fireplace, round tables and padded chairs, lectern, TV/DVD/VCR, and phone (local calls only). The kitchen also comes with hand towels, 3 coffee makers, and coffee filters (please bring your own coffee). 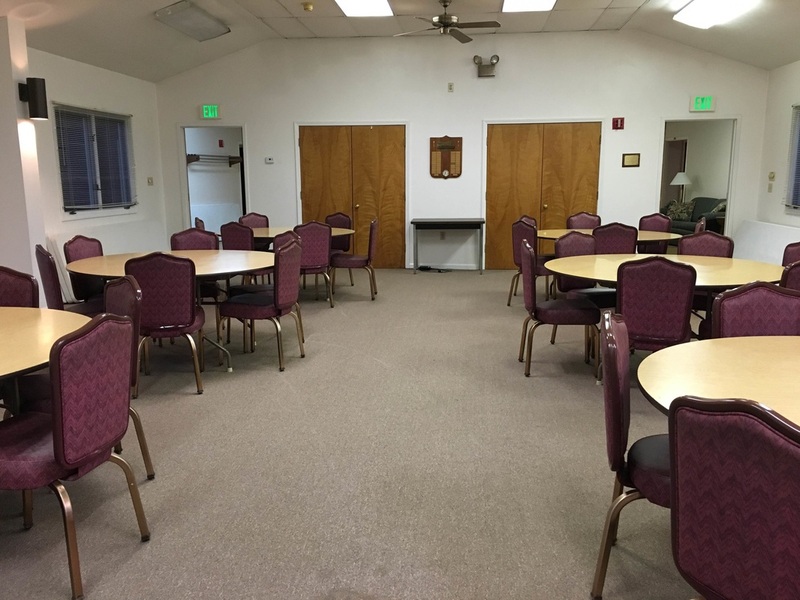 Lower level meeting room with kitchenette, refrigerator, lectern, tables and chairs. Meeting rooms have AC/Heat. 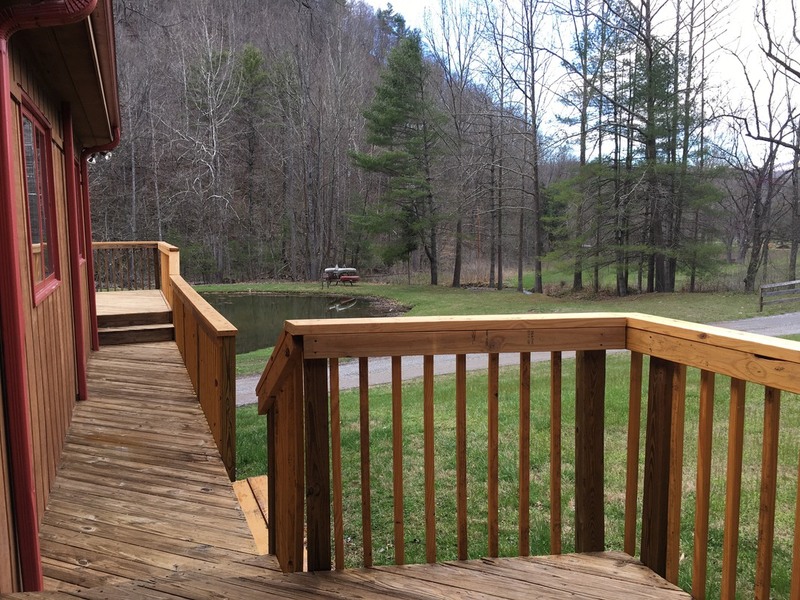 A beautiful deck with rocking chairs is right off the upper level meeting room. 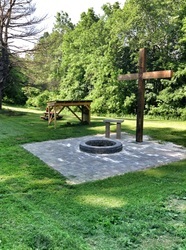 Charcoal grill provided (please bring your own charcoal). This building also has wireless internet and can accommodate up to 52 people. 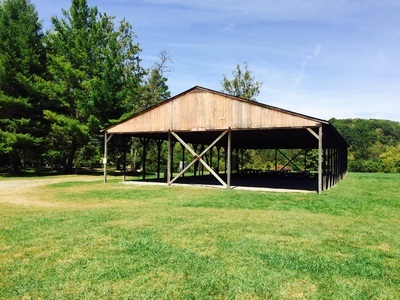 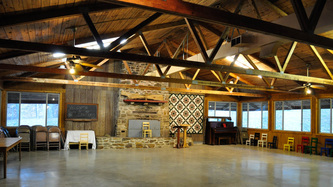 This facility is perfect for large group retreats and weddings! 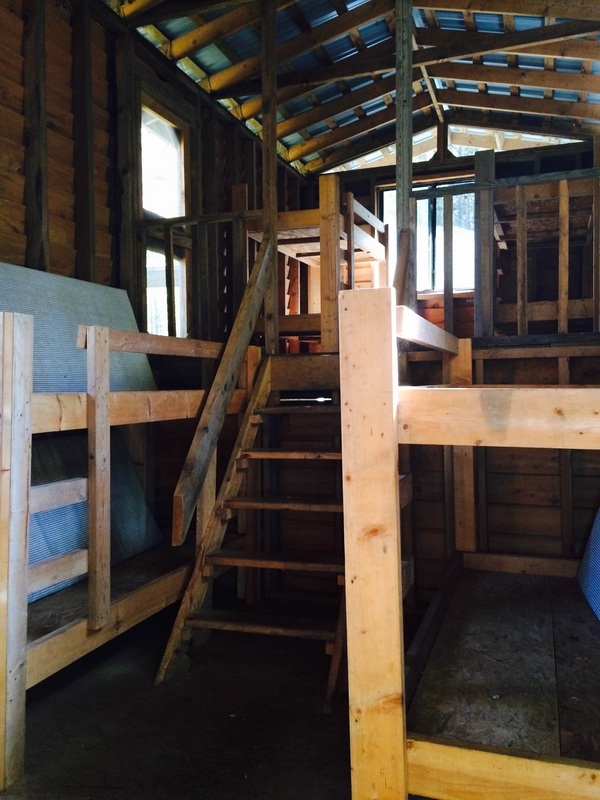 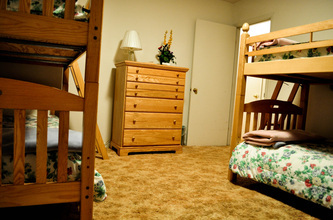 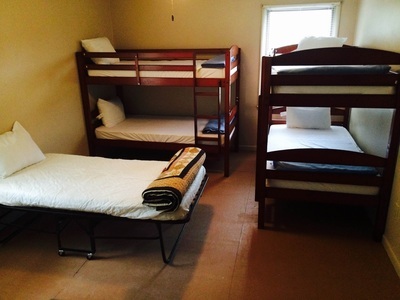 11 bunk beds divided between 3 rooms as well as 2 bedrooms each containing 2 single beds. These beds come with blankets and pillows only; please bring your own sheets and/or sleeping bags (sheets and towels available for a separate fee). 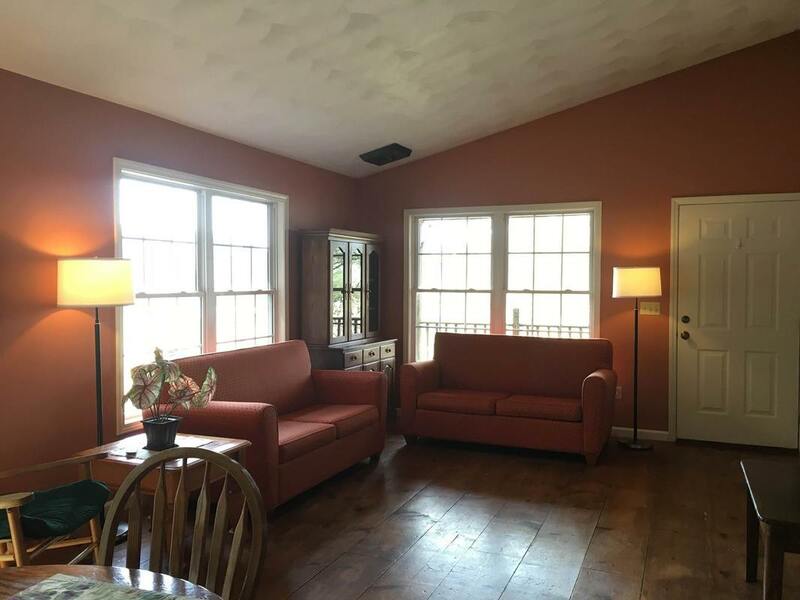 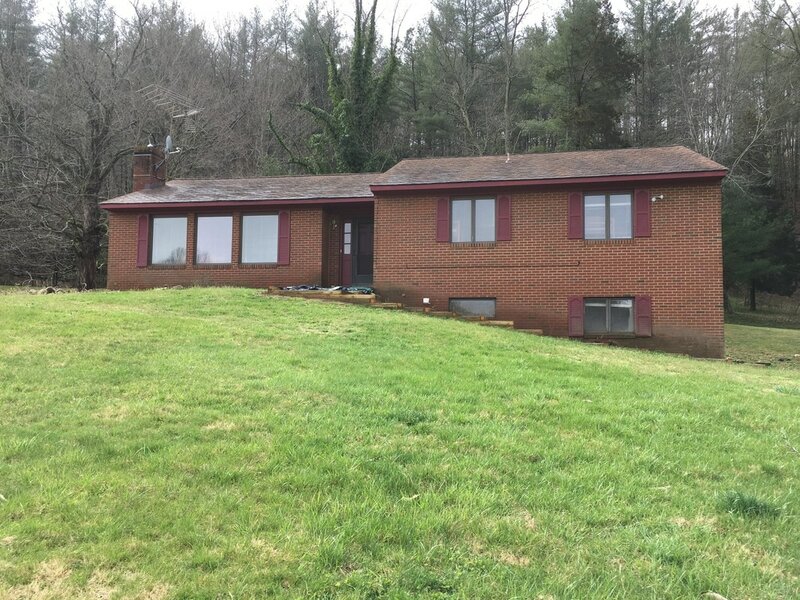 The house has a fully equipped kitchen, large meeting/living room, piano, gas fireplace, phone (local calls only), AC/Heat. 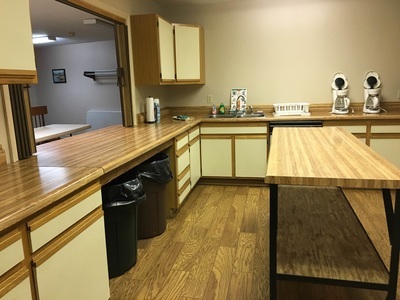 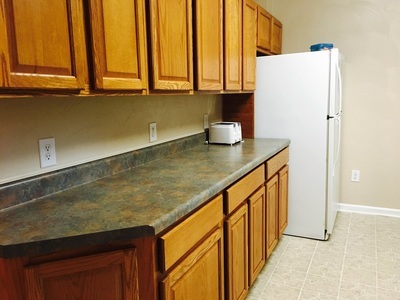 The kitchen also comes with hand towels, 2 coffee makers, and coffee filters (please bring your own coffee). Charcoal grill provided (please bring your own charcoal) as well as a beautiful front porch with rocking chairs, fire pit, volleyball net, covered balcony, tables and chairs, and field space for tent overflow. 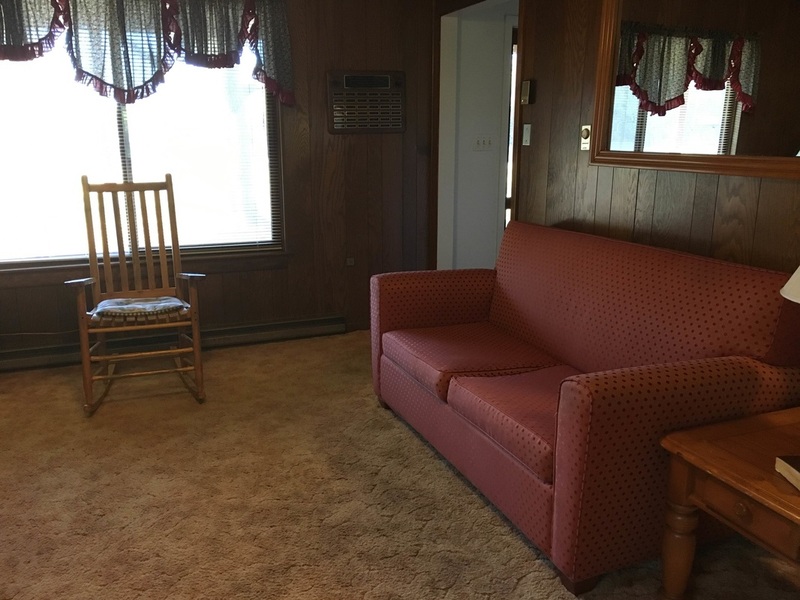 The house can accommodate 26 people. 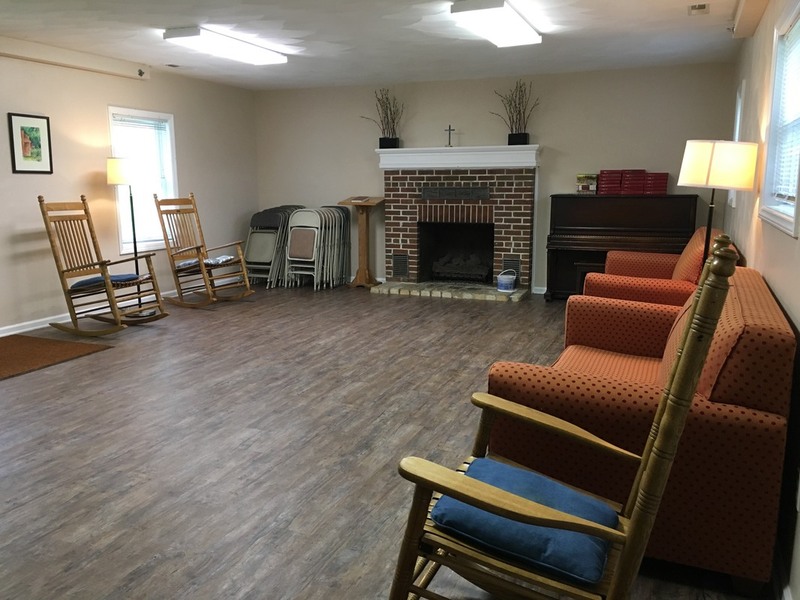 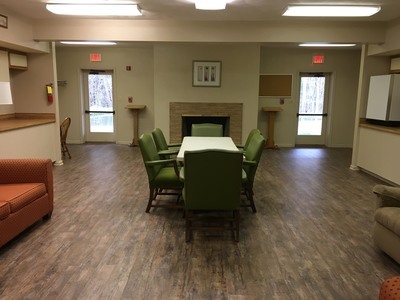 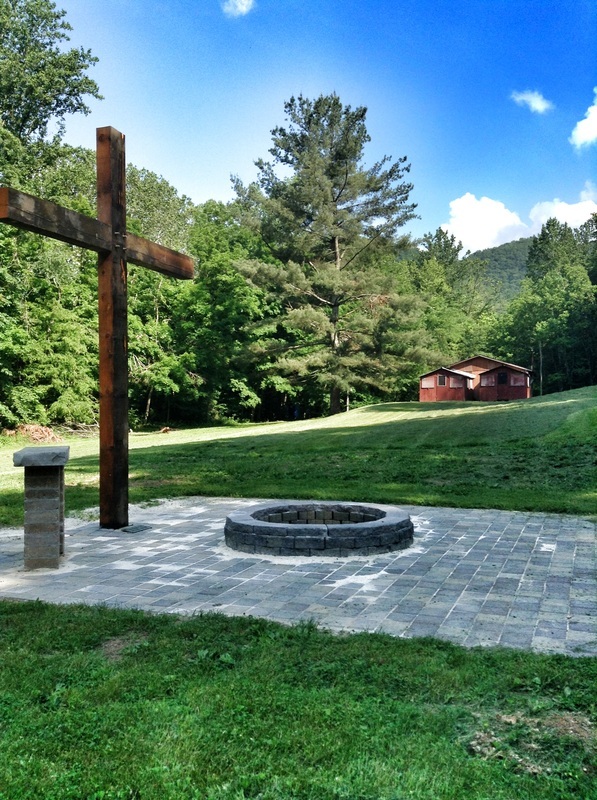 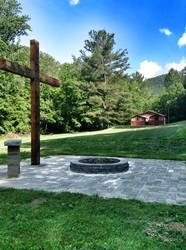 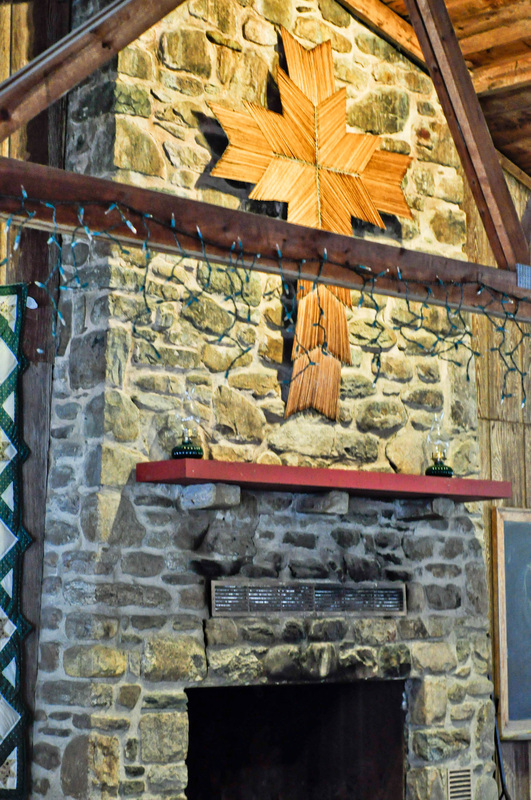 This facility is perfect for small group retreats. 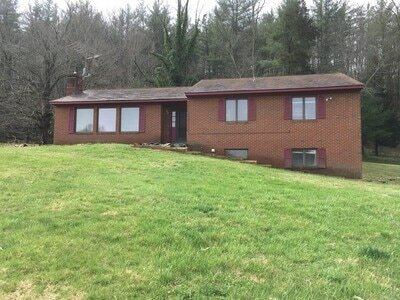 4 bedrooms and 2 full bathrooms can accommodate up to 14 people. It contains 6 bunk beds divided between 3 rooms and 1 room with a queen bed (the queen bed comes with pillows, sheets, and a comforter). 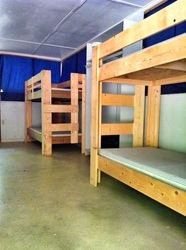 The bunk beds come with blankets and pillows only; please bring your own sheets and/or sleeping bags (sheets and towels available for a separate fee). 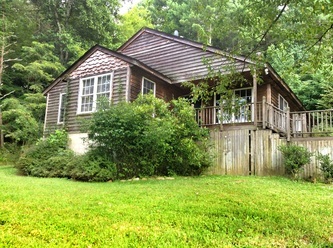 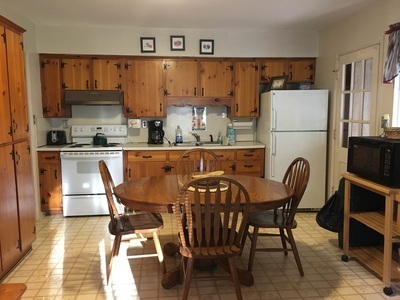 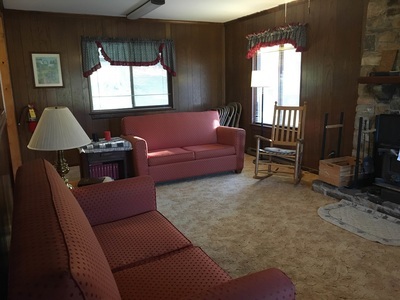 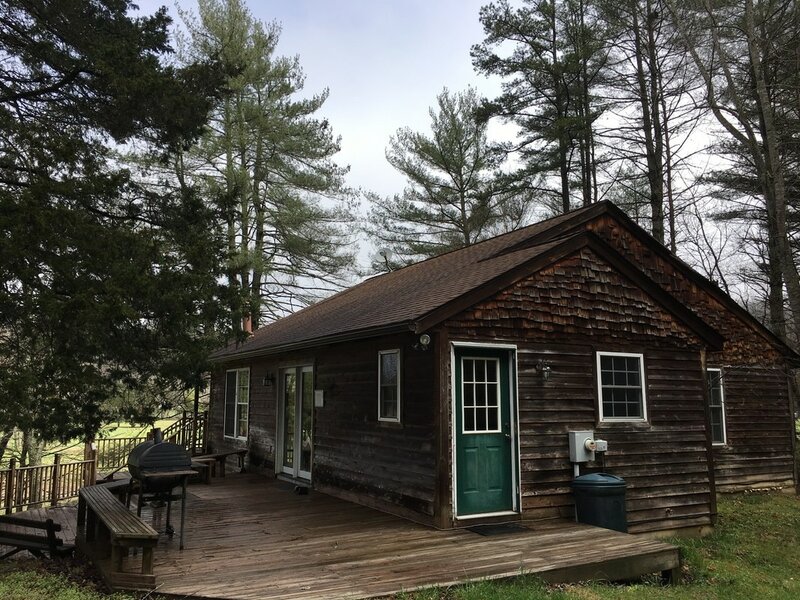 The cottage also has a fully equipped kitchen, dining table and chairs, 2 couches, and rocking chairs. 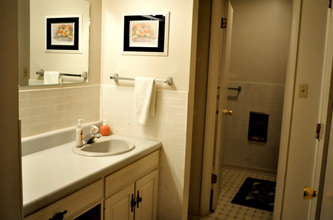 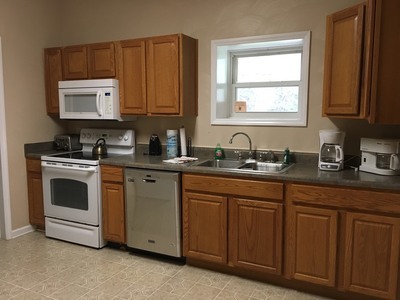 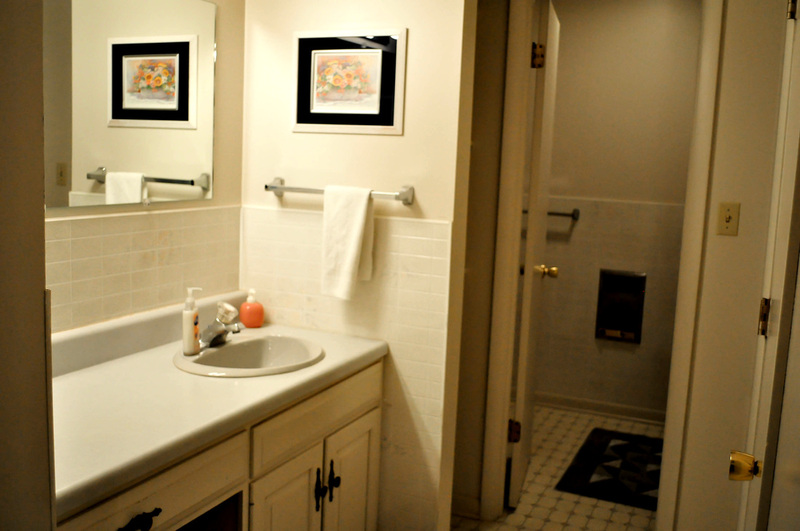 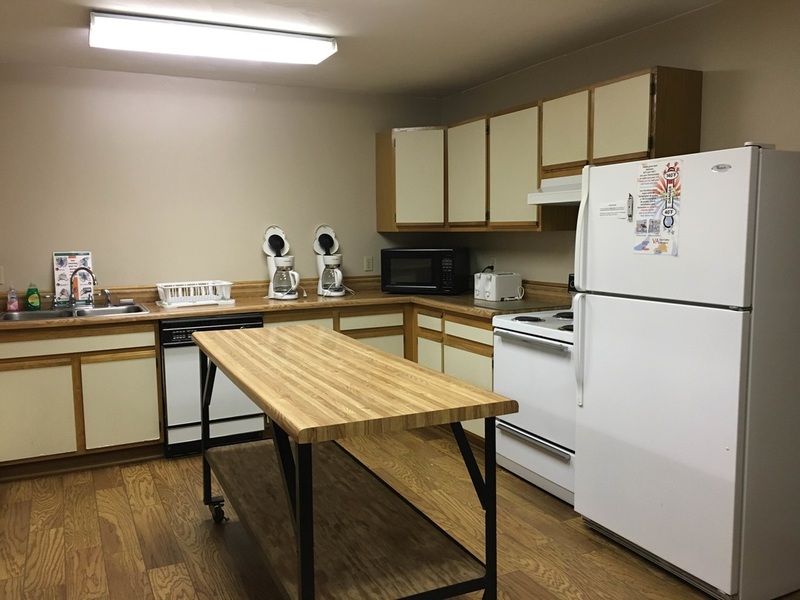 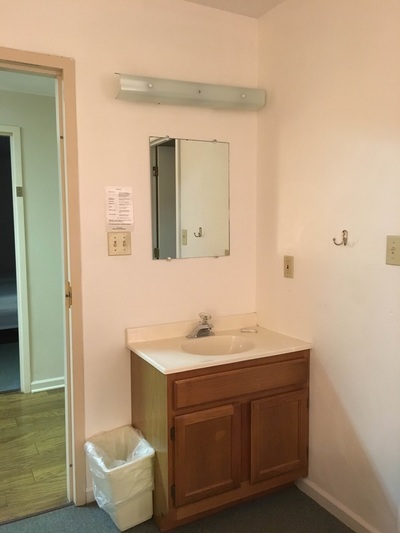 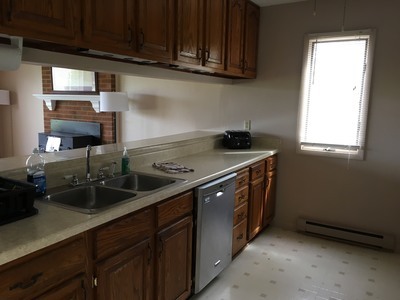 The kitchen also comes with hand towels, 1 coffee maker, and coffee filters (please bring your own coffee). Charcoal grill provided (please bring your own charcoal). 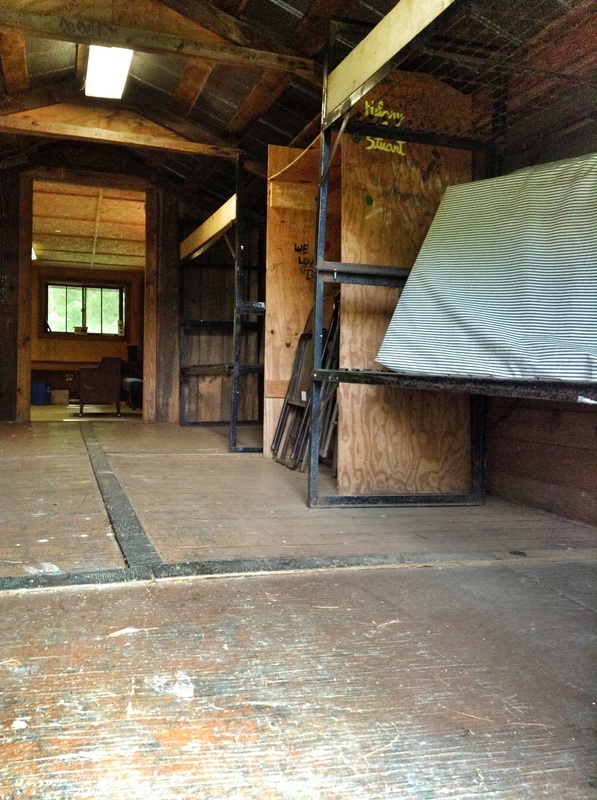 Heated but not air conditioned. 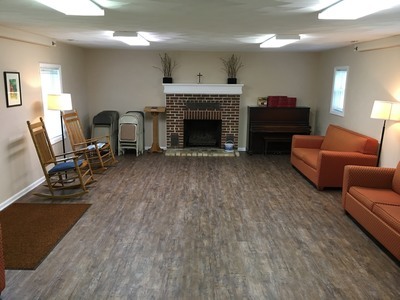 This facility is perfect for small group retreats. 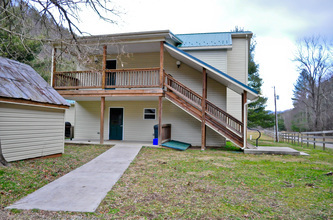 4 bedrooms and 2 full bathrooms can accommodate up to 16 people. 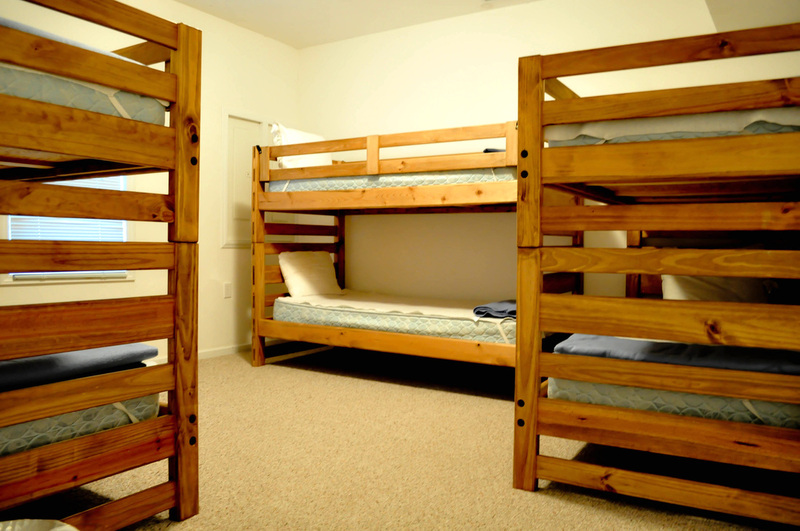 It contains 7 bunk beds divided between 3 rooms and 1 room with a double bed (the double bed comes with pillows, sheets, and a comforter). The bunk beds come with blankets and pillows only; please bring your own sheets and/or sleeping bags (sheets and towels available for a separate fee). 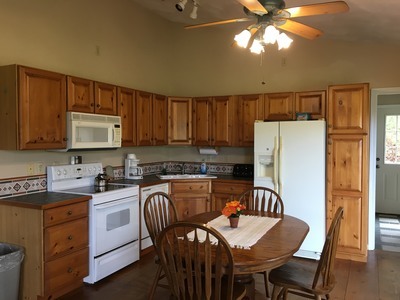 The house also has a fully equipped kitchen, eating area, common meeting area with 2 couches, and access to a porch. 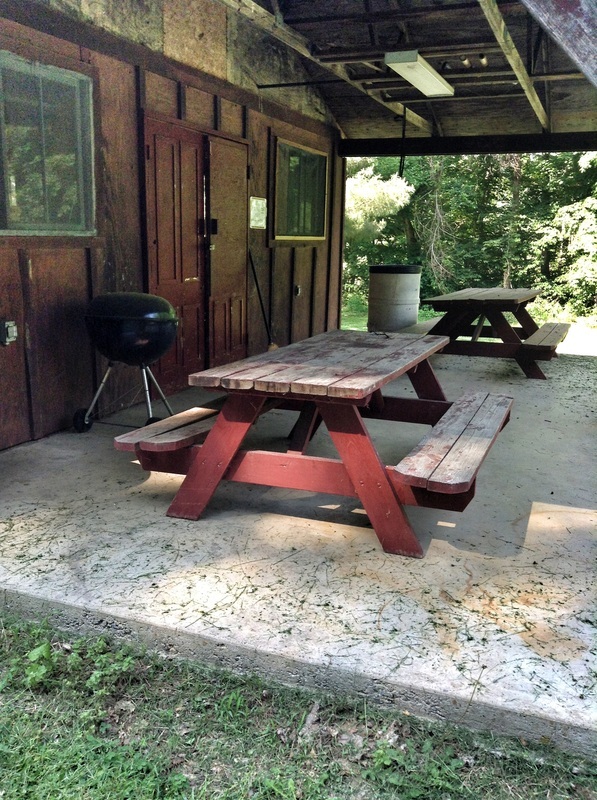 Charcoal grill provided (please bring your own charcoal). 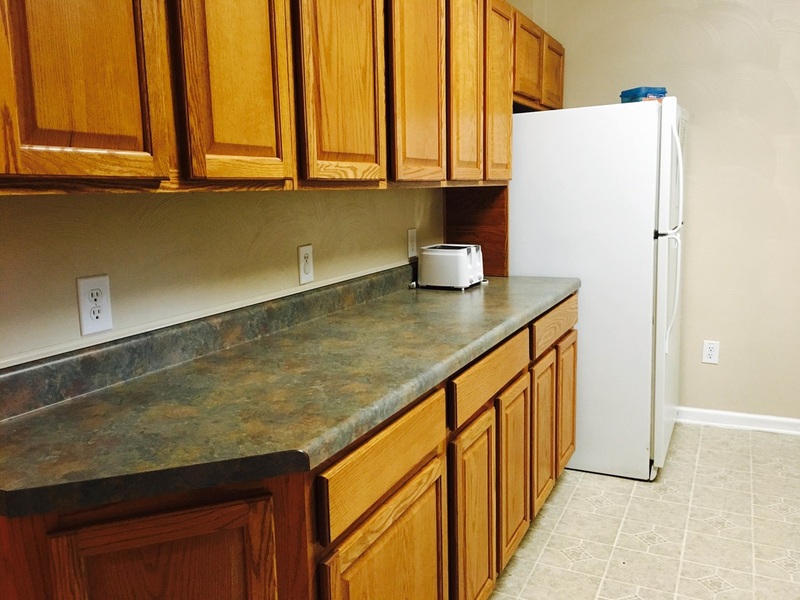 The kitchen also comes with hand towels, 2 coffee makers, and coffee filters (please bring your own coffee). 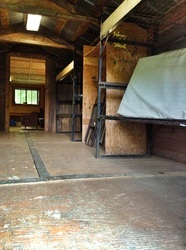 Heated and air conditioned. ​Note: This facility is available free of charge to United Methodist Ministers! 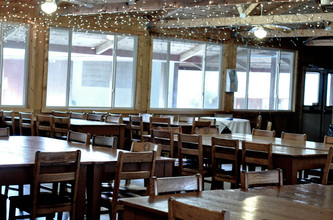 Just call us to reserve your dates! This facility is perfect for small group retreats. 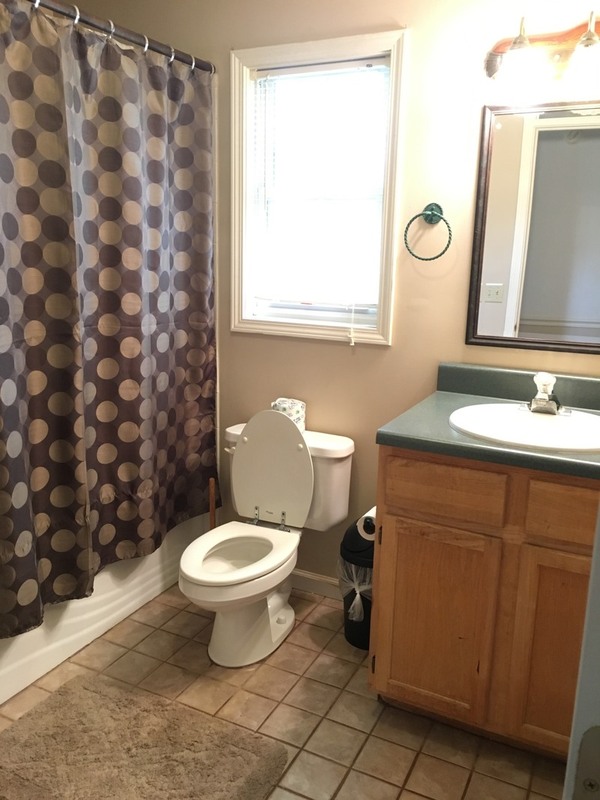 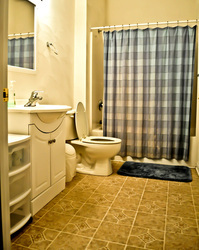 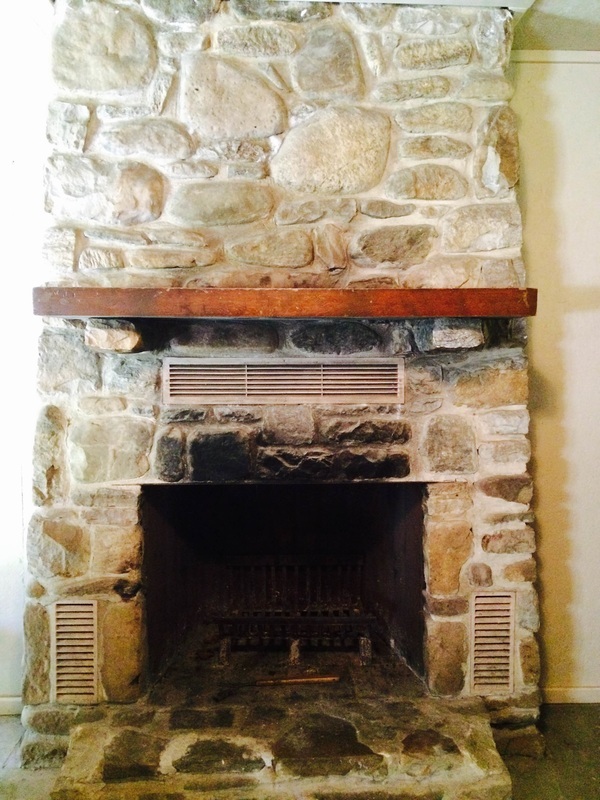 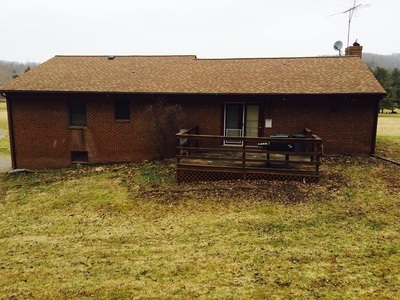 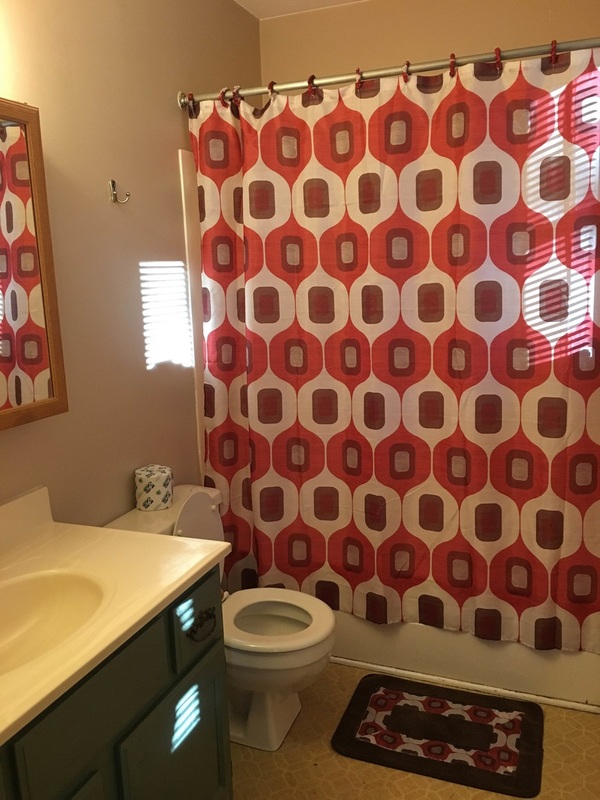 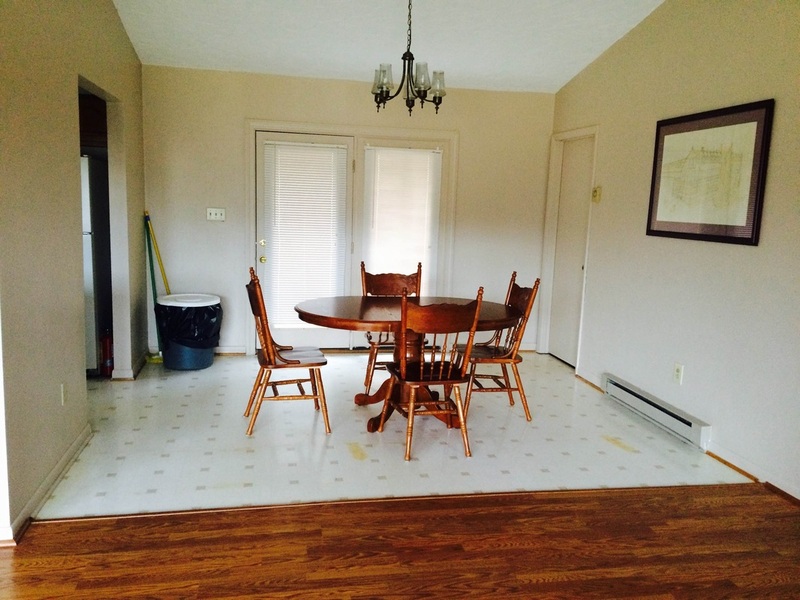 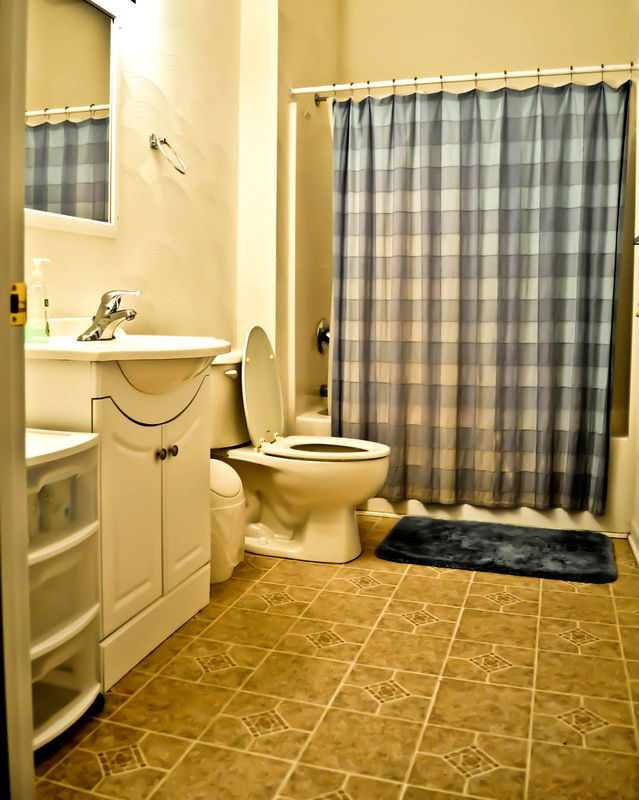 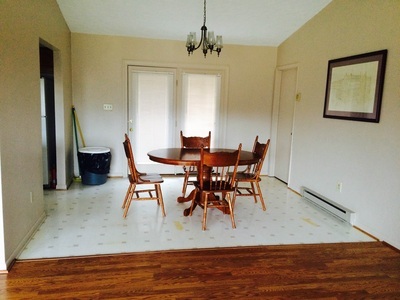 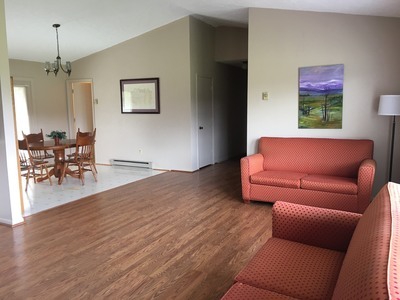 3 bedrooms and 2 full bathrooms can accommodate up to 15 people. 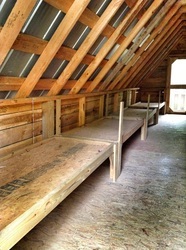 It contains 7 bunk beds and 1 cot divided between 3 rooms. These beds come with blankets and pillows only; please bring your own sheets and/or sleeping bags (sheets and towels available for a separate fee). The house also has a fully equipped kitchen, eating area, common meeting area, as well as a deck. 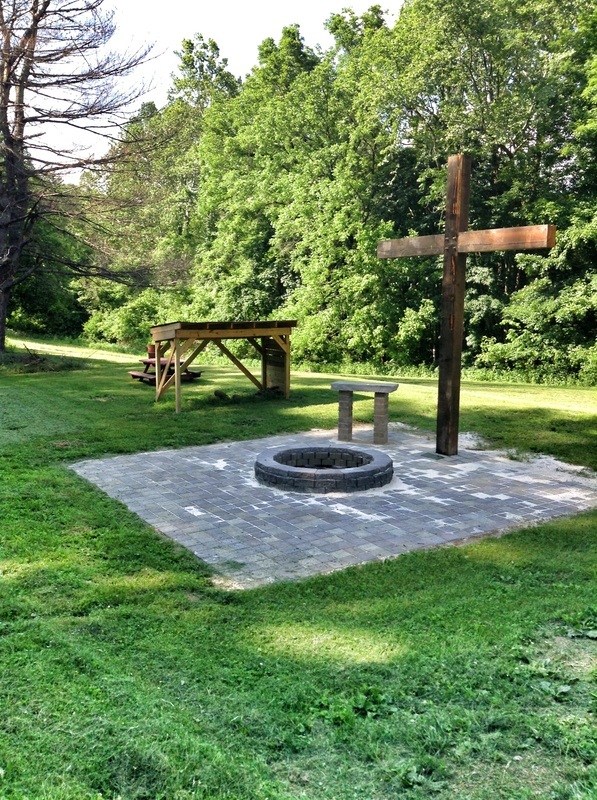 Charcoal grill provided (please bring your own charcoal). The kitchen also comes with hand towels, 1 coffee maker, and coffee filters (please bring your own coffee). 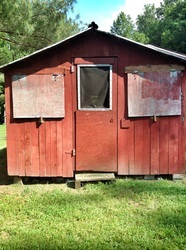 Heated but not air conditioned. 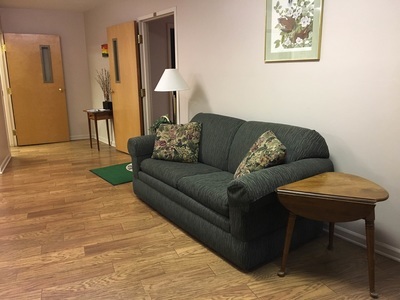 Additional meeting space downstairs complete with 8 couches. 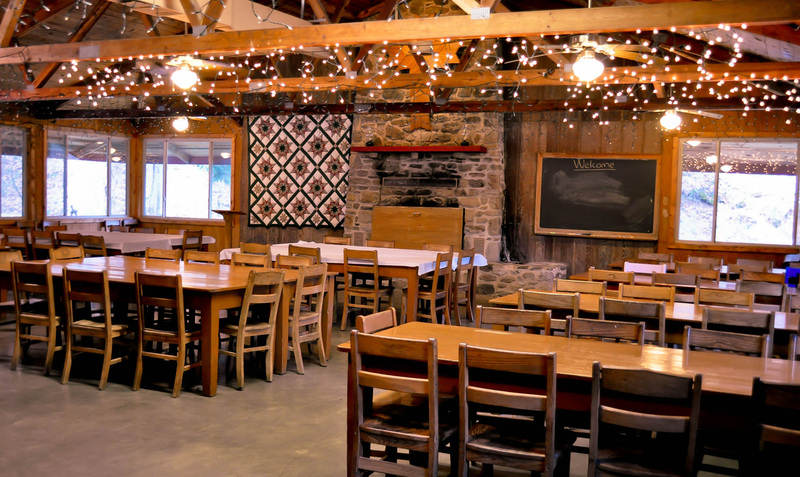 Meals are served in our all-season, rustic, Dining Hall. 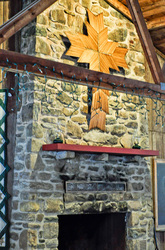 Enjoy a cool breeze in the summer, or sit by a crackling fire in the winter as you enjoy some "good ole home cooking". 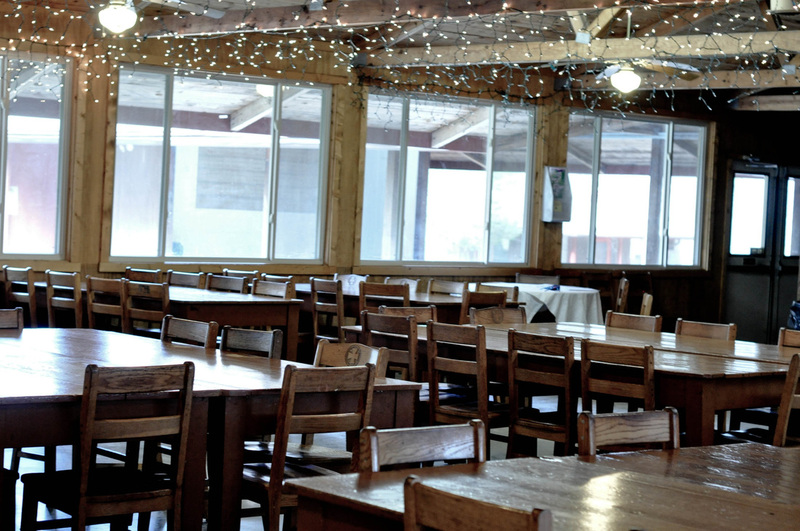 Most meals are served buffet style but we can also serve family style! 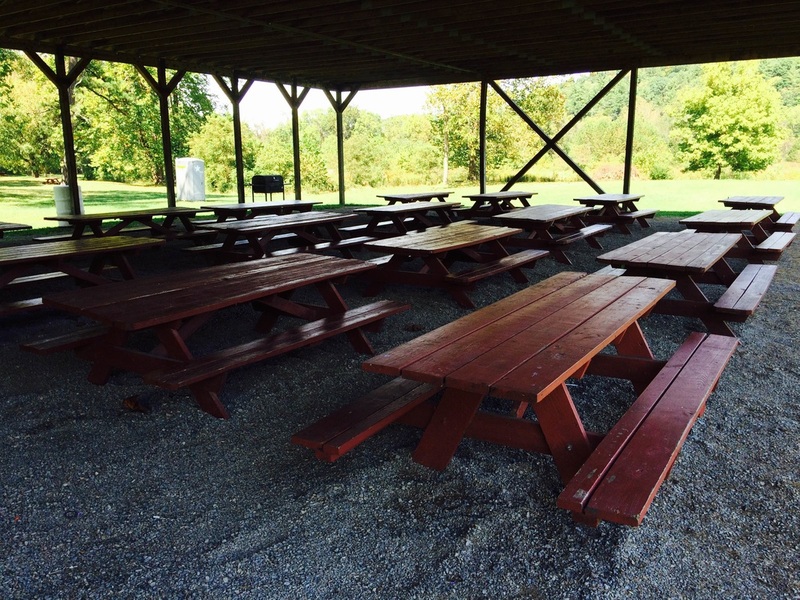 A minimum of 15 is required for meal service and a maximum of about 200 can be accommodated. 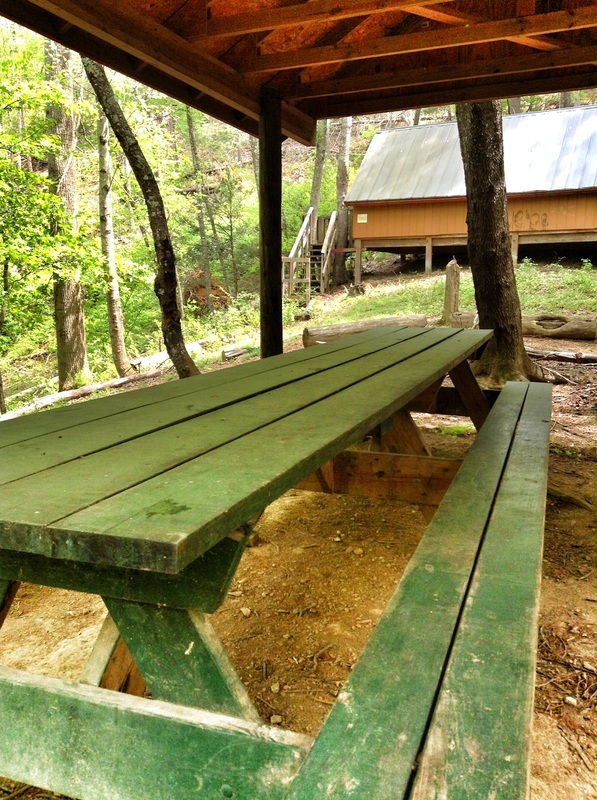 Shelter I is located next to Purgatory Creek and contains 8 picnic tables, a charcoal grill (please bring your own charcoal), and a fire pit. 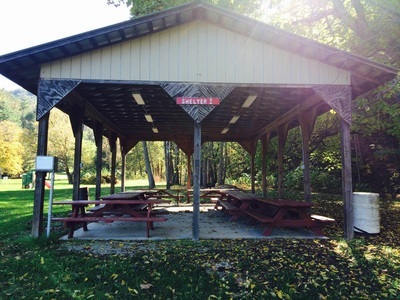 This shelter has lighting and electrical outlets and is surrounded by field space. 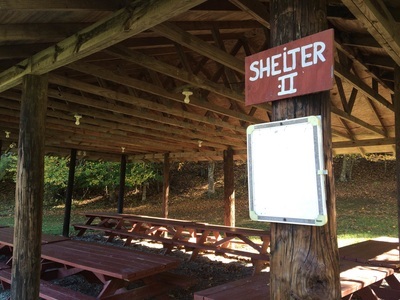 Note: All Shelters are free of charge to churches in the Roanoke District of the United Methodist Church for church events (e.g. 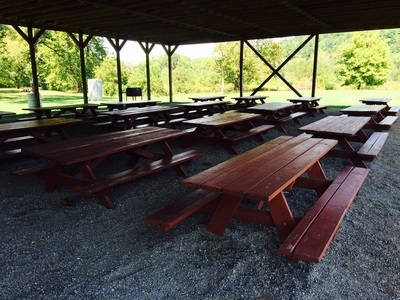 church picnic). 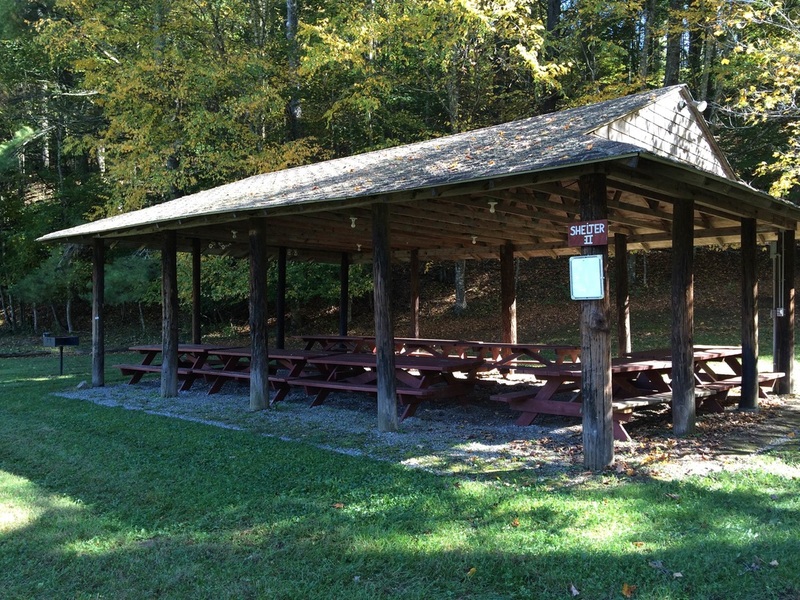 Shelter II is located next to the pool and contains 8 picnic tables, a charcoal grill (please bring your own charcoal), and a fire pit. This shelter has lighting and electrical outlets and is surrounded by field space. 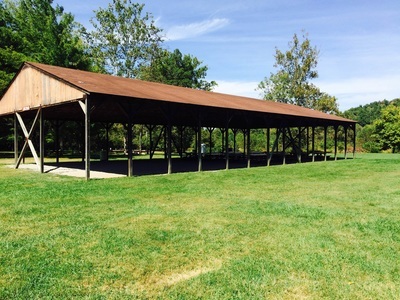 Shelter III is located near the Wetlands and contains 16 picnic tables and a large charcoal grill (please bring your own charcoal). 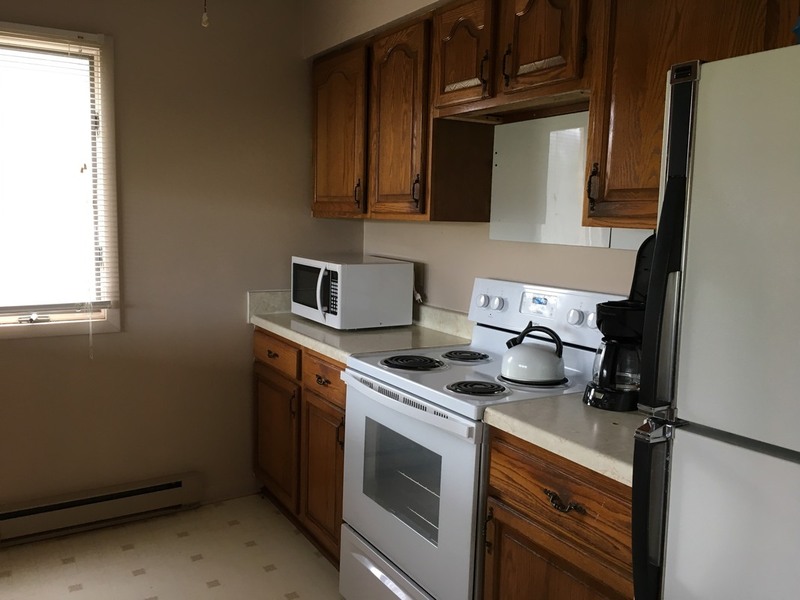 It has electrical outlets and is surrounded by field space. 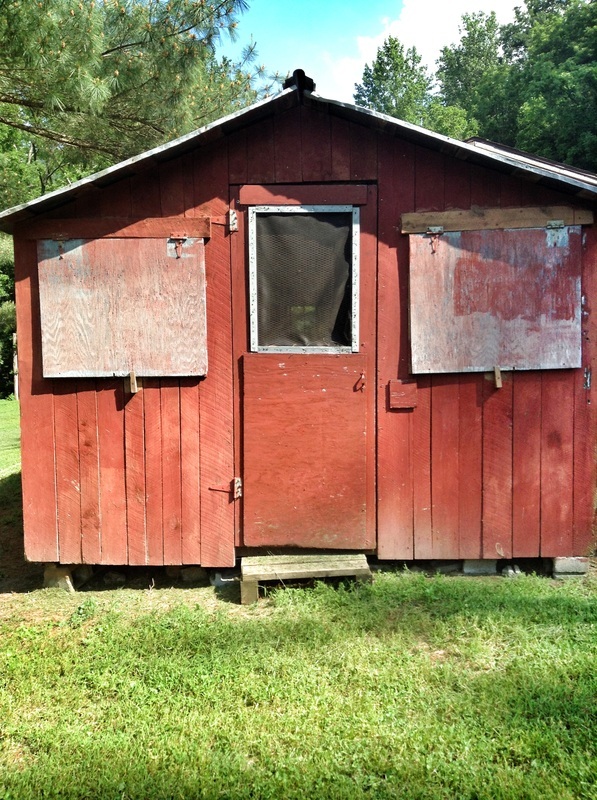 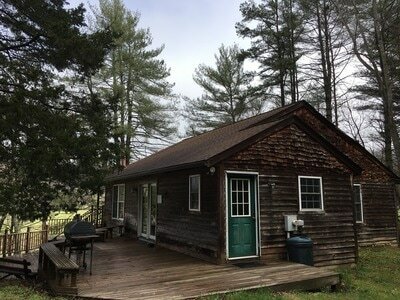 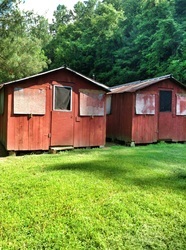 Take two cabins and attach them to a 24 x 24 foot building with a porch on the front and you have The Hut. 16 beds and a heated (wood stove in the meeting room) meeting space make this a great three-season place for small groups. 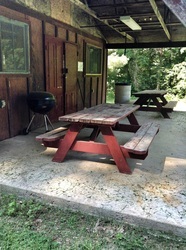 Charcoal grill provided (please bring your own charcoal). 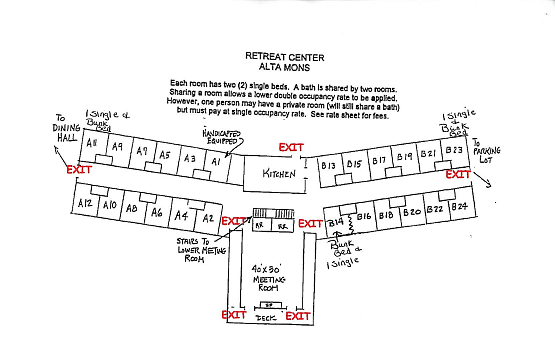 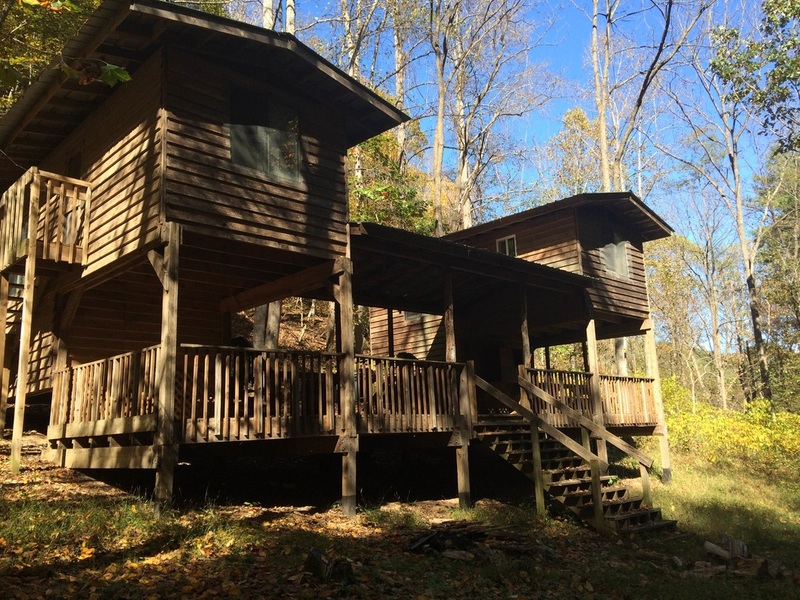 Alta Mons offers our simple, rustic cabins. 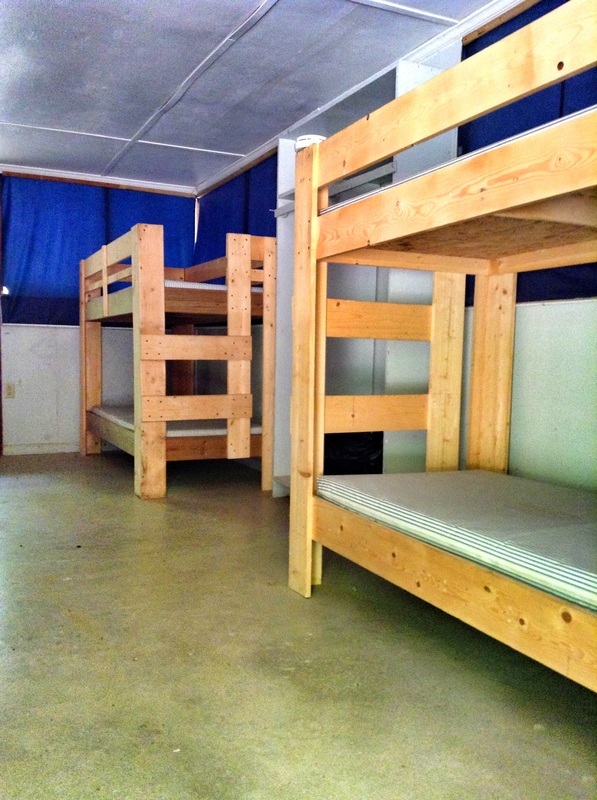 A total of 9 cabins, 6 having 4 bunks and 1 single bed (9 beds per cabin) and 3 having 4 bunks (8 beds per cabin). 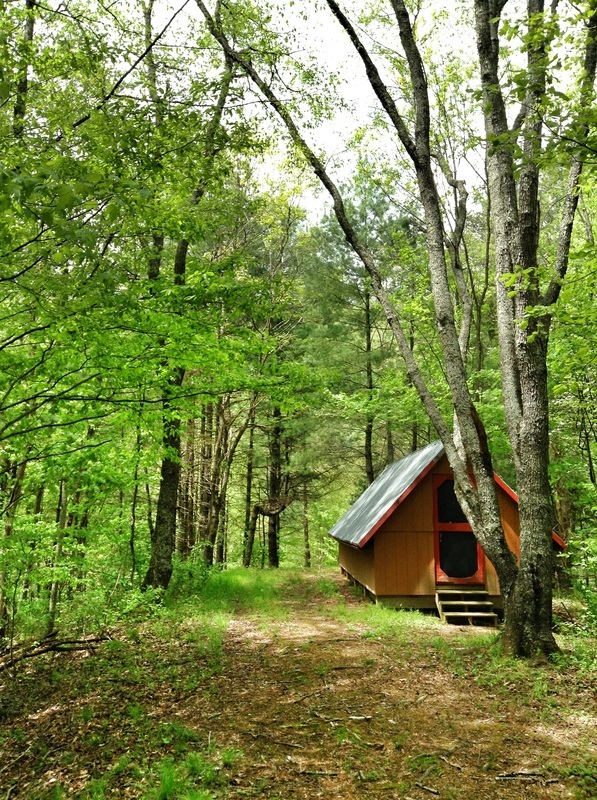 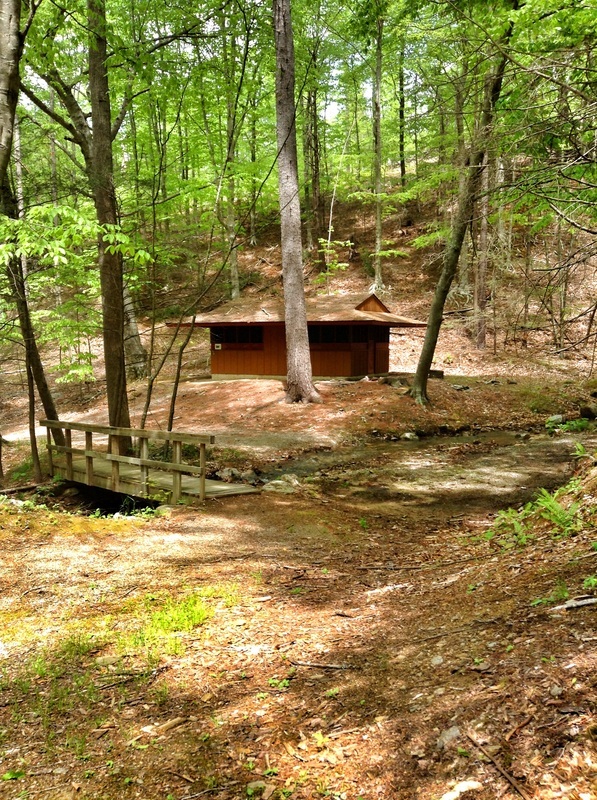 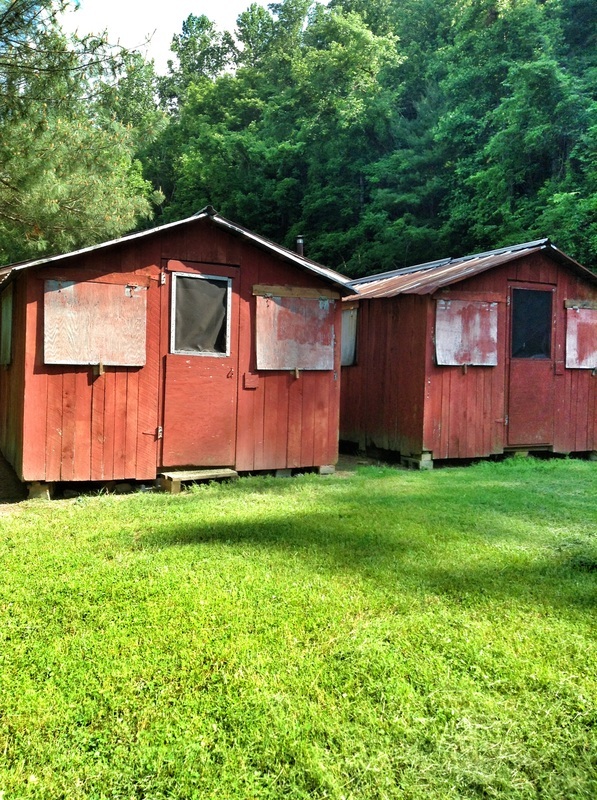 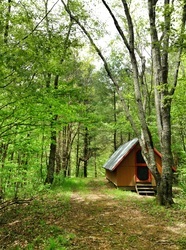 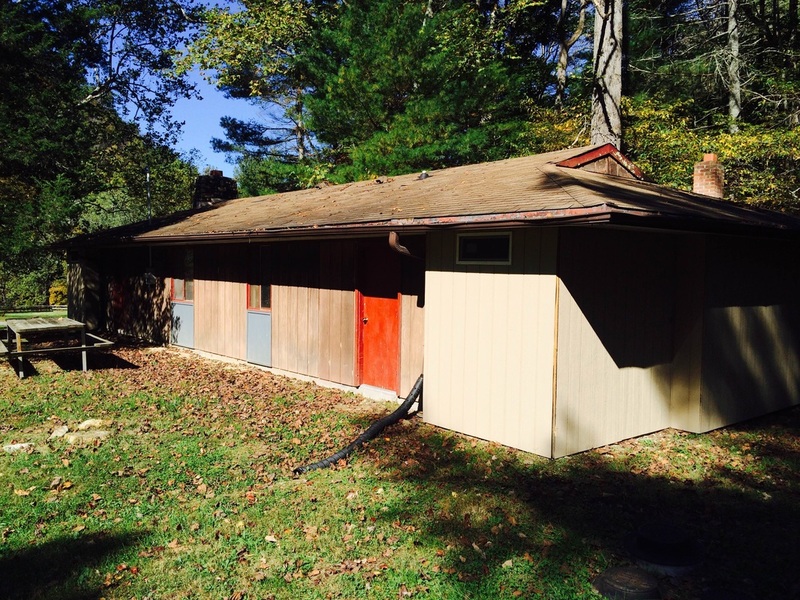 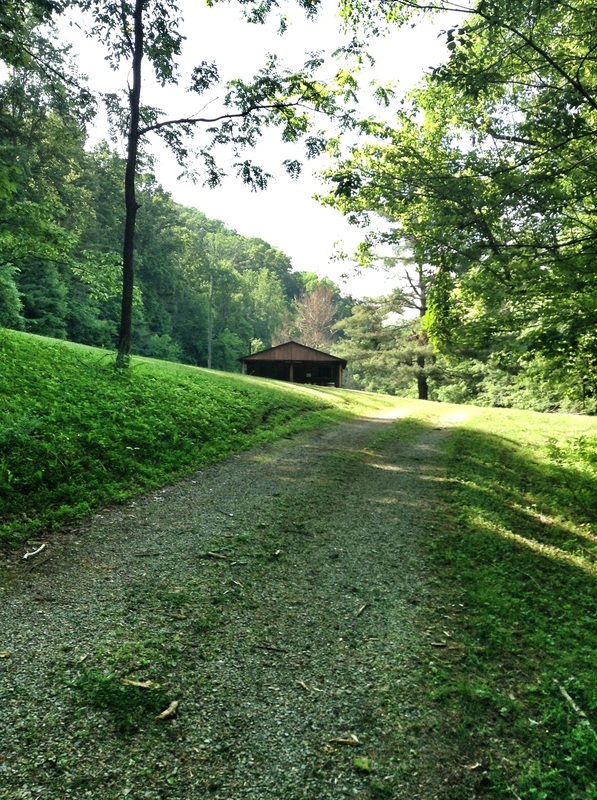 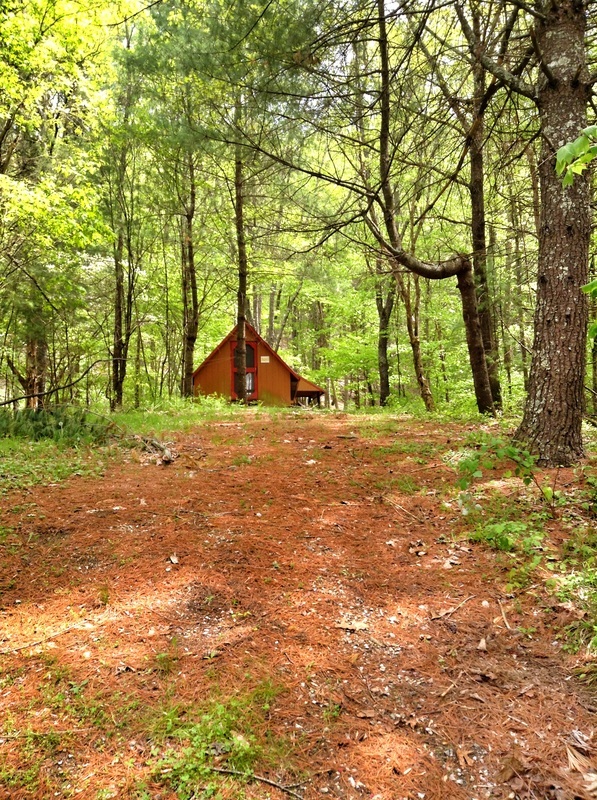 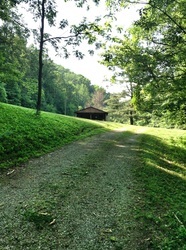 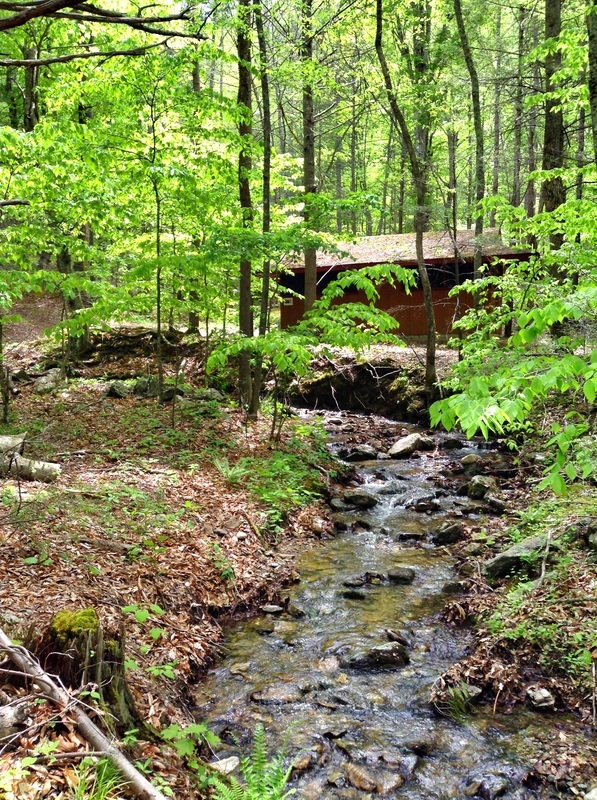 Isolated on a wooded hillside in 3 groups of two hogans each and a picnic shelter. 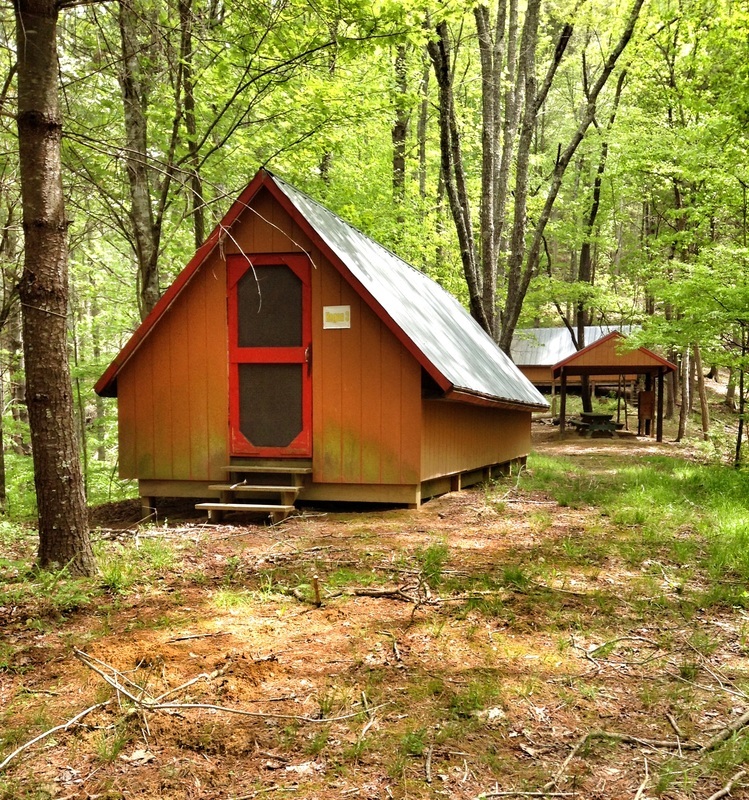 Used primarily as summer campsites, these hogan units make ideal primitive campsites for smaller groups. 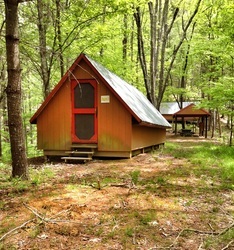 Each hogan sleeps 8. 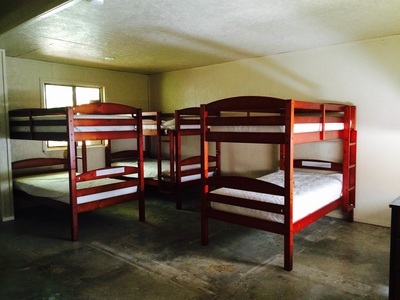 There are 16 beds per hogan site. 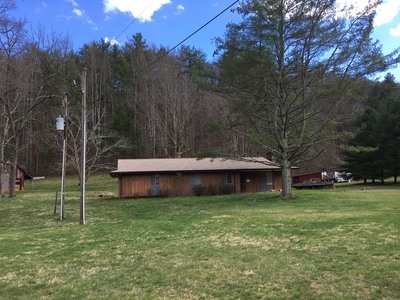 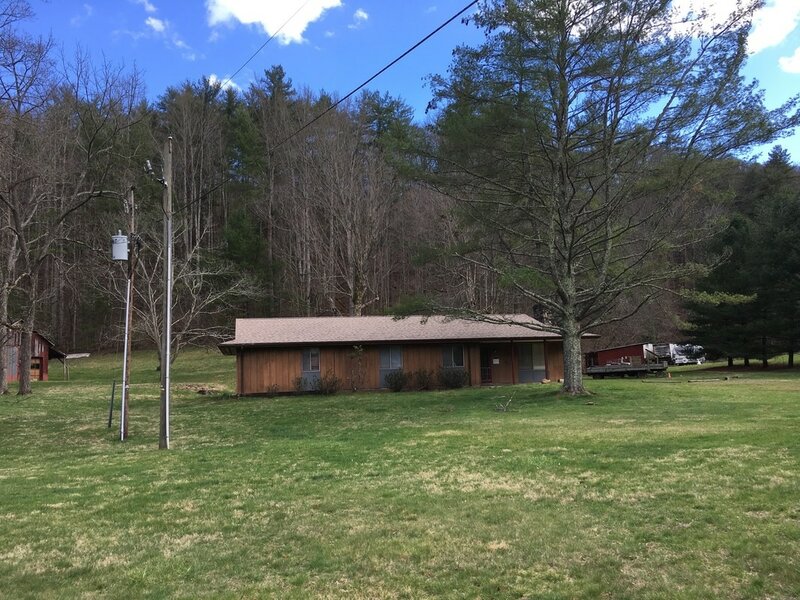 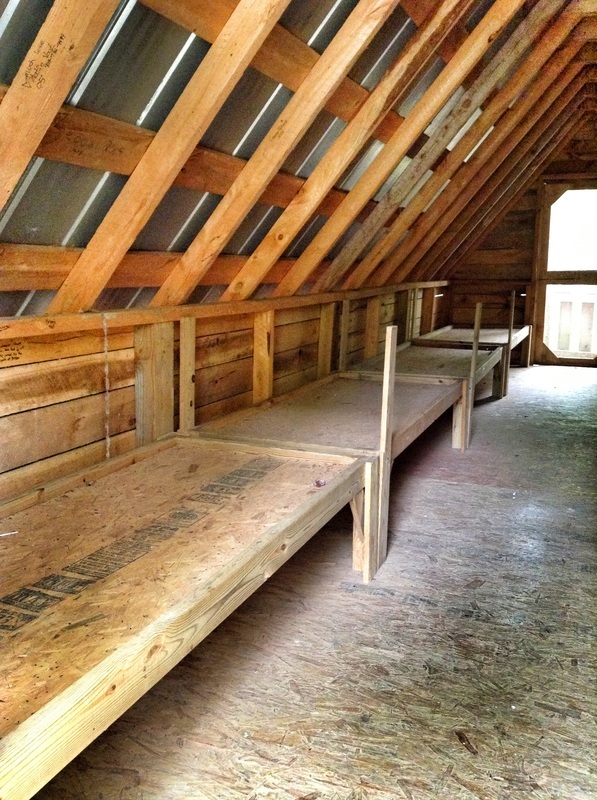 This rustic facility accommodates up to 16 people and is split into 2 sides, 4 bunks (8 beds) on each side with a common area for eating / hanging out on the porch. 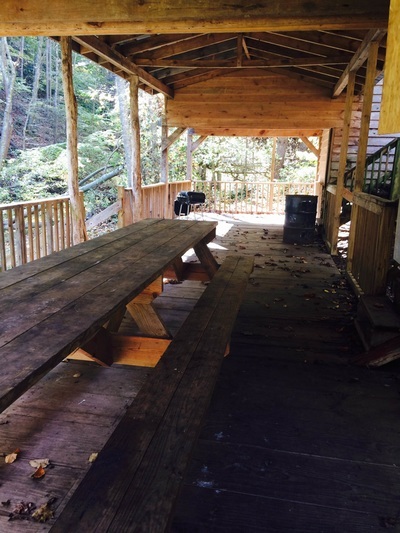 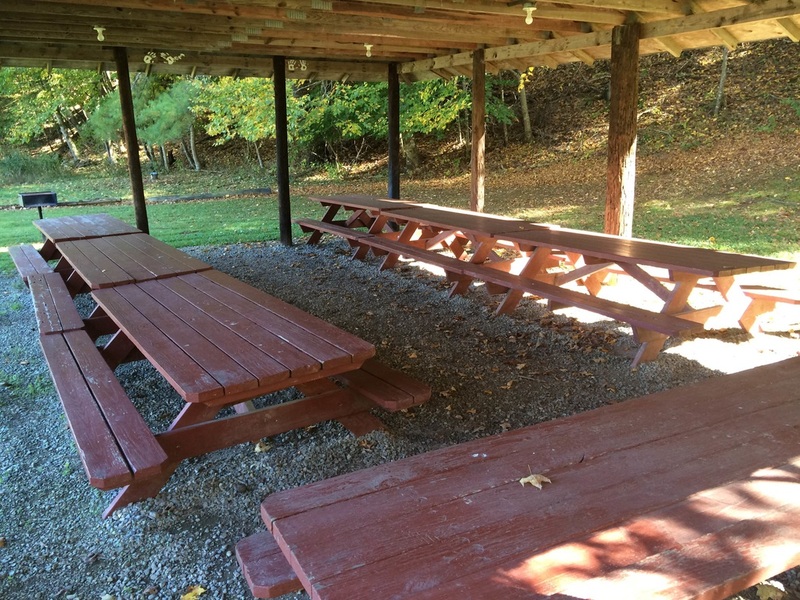 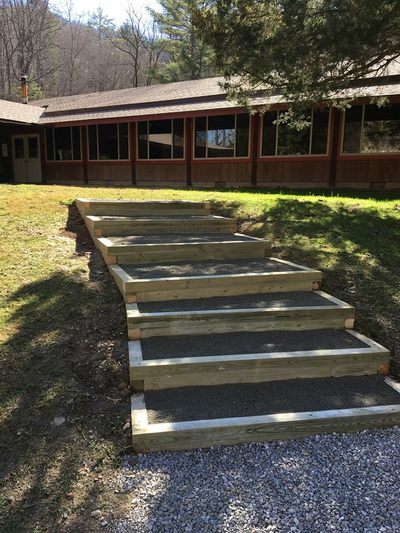 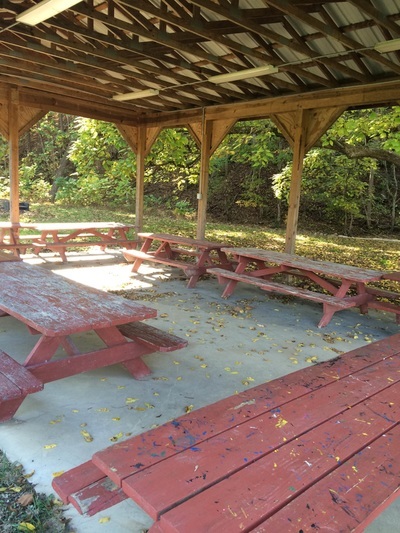 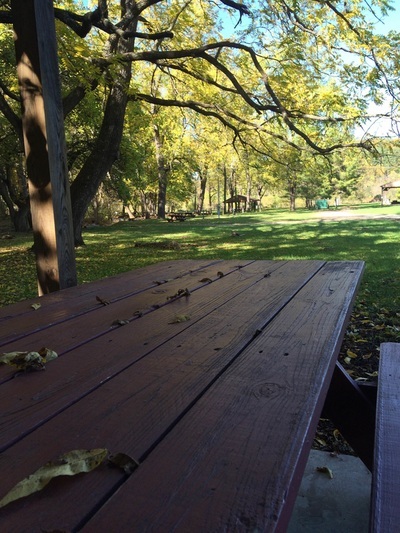 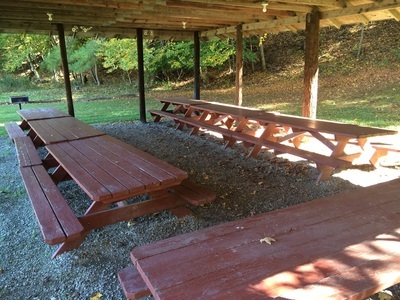 The covered porch features a large picnic table and charcoal grill (please bring your own charcoal) and is a great location for hammocking as well! 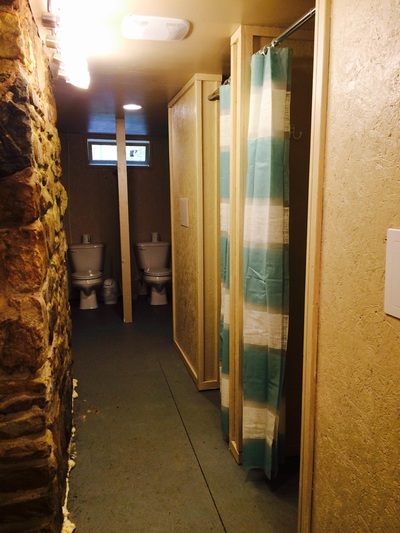 This facility accommodates 18 people and is split into 2 sides, each with 2 toilets and 2 showers. 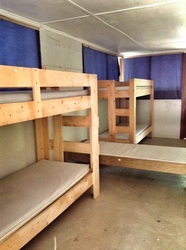 One side has 5 bunks (10 beds) and one side has 4 bunks (8 beds). Each side has a mini fridge as well!